Yesterday, EFF filed an amicus brief at the Federal Circuit urging it to confirm that U.S. Patent No. 6,585,516 improperly claims ineligible abstract ideas. 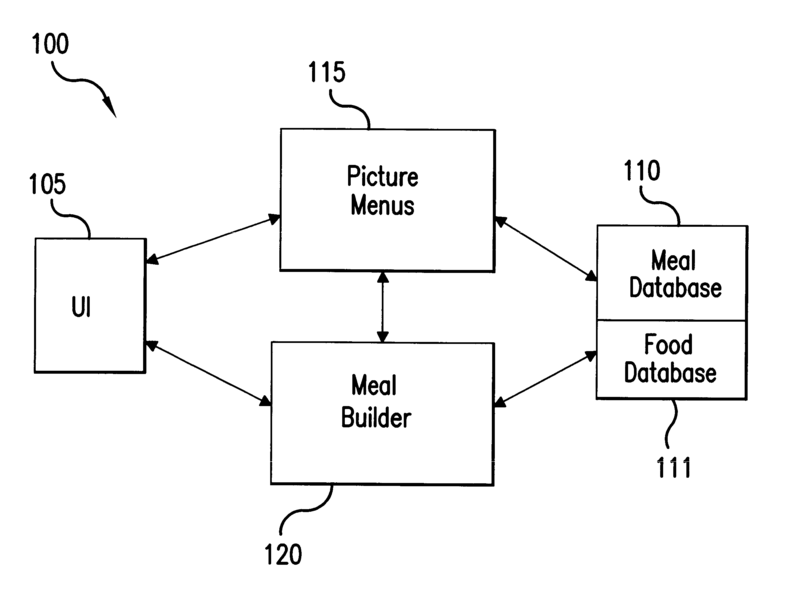 In the brief, we argue that the patent on using picture menus stored in a database to create meals should never have been granted in the first place. But more importantly, EFF argues that the Federal Circuit should confirm that quick, early decisions as to patent eligibility are vital to clearing our system of bad patents. U.S. Patent 6,585,516, owned by DietGoal Innovations, LLC, is a pretty typical bad patent. It’s got a complex-sounding title (“Method and system for computerized visual behavior analysis, training, and planning”), a few practically-meaningless flow charts (look at all the arrows! ), and a claim that says not much more than “showing pictures of meals on a computer so people can pick what to eat that day” (this is not actually the text of the claim, but it is a fair paraphrase). DietGoal is also a typical troll. Since 2011 it’s sued over 70 different companies, including restaurant chains such as Pita Pit, Taco John’s, and Panda Express. This is a favorite tactic of trolls: go after those who rarely encounter patent litigation in hopes that they won’t fight back. But at least one defendant did fight back: Bravo Media. Bravo was sued for offering the public recipes (and presumably pictures) from its “Top Chef” show. Unlike many defendants faced with a troll lawsuit, Bravo did not just settle. Instead, Bravo filed, and won, a motion for “summary judgment” (a court procedure that can end the case before it goes to a jury). The court found the patent invalid because it claimed matter that is ineligible for patent protection. DietGoal appealed that decision, but given the Supreme Court’s recent decision in Alice v. CLS Bank regarding what patents can and can not cover, and a recent Federal Circuit opinion, we don’t expect DietGoal’s patent to survive. In fact, when Alice was decided, we used DietGoal’s patent as our example of the kind of patent that was destined to be thrown out. We said as much in our amicus brief. But more importantly, we urge the Federal Circuit to recognize that courts should decide motions about whether patent claims are abstract (and therefore, invalid) as quickly as possible. Trolls, even when they have a patent that is likely invalid, often get to repeatedly sue companies because it is too expensive to fight back. Unfortunately, settling with a troll is often cheaper than fighting. The courts, however, can make it easier for defendants to fight by recognizing that whether a patent claims ineligible abstract ideas is often something that can be decided early, without massive expenses and without giving the troll the opportunity to extort settlement. We filed the amicus brief on behalf of a diverse group of non-profits and industry associations: Application Developers Alliance, the Computer and Communications Industry Association, EFF, Engine Advocacy, the National Restaurant Association, and Public Knowledge.